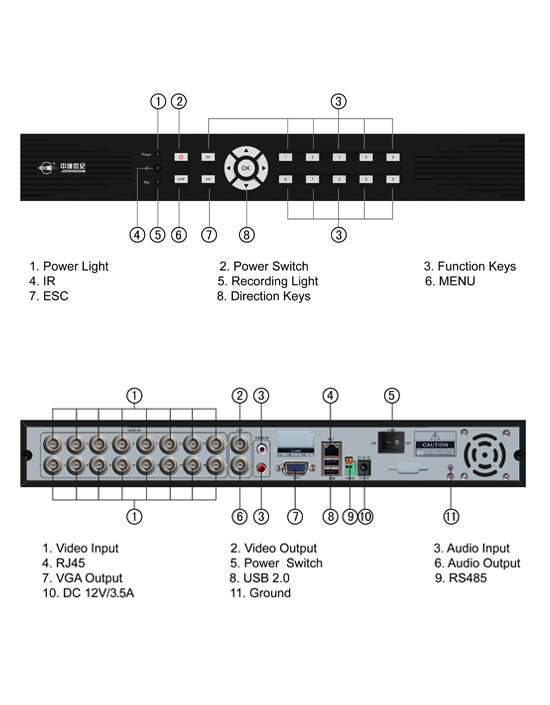 Jovision JVS-D7200 series network DVR is newly released by Jovision. port and RS485 PTZ control port etc. alarm detection, remote surveillance, thunder-proof, mobile phone monitoring, etc. makes it simple and convenient for installing and operating. 1.Plug&play, no need for DDNS,no need for port mapping and no need for static IP. 1. Support Motion Detection Alarm, up to 4 areas in each channel. 2. Support video losing alarm.